Happy Thursday Friends! 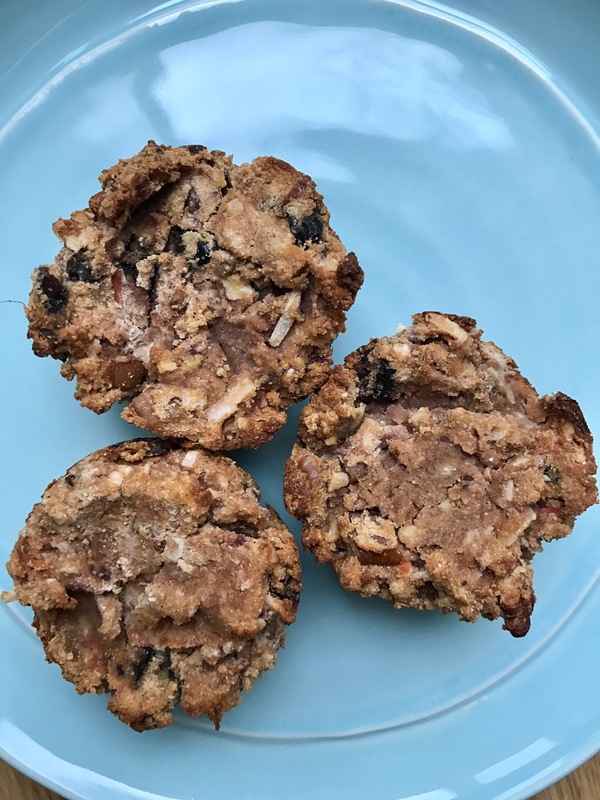 It has been awhile since I’ve shared a new recipe with y’all, so I decided since it is another rainy day here, why not cozy up with a hot cup of something and make these yummy muffins! Since “going gluten free” at the end of November I have noticed amazing changes in the my health and digestive system. For years I have toyed around with the idea of removing gluten from my diet (as well as other common allergens) and seemed to always land in classifying myself as “gluten reduced”. Whatever the hell that means. I knew that I felt better when not eating it, but I was very passionate about not eliminating any one thing from your diet and eating/enjoying everyting in moderation. 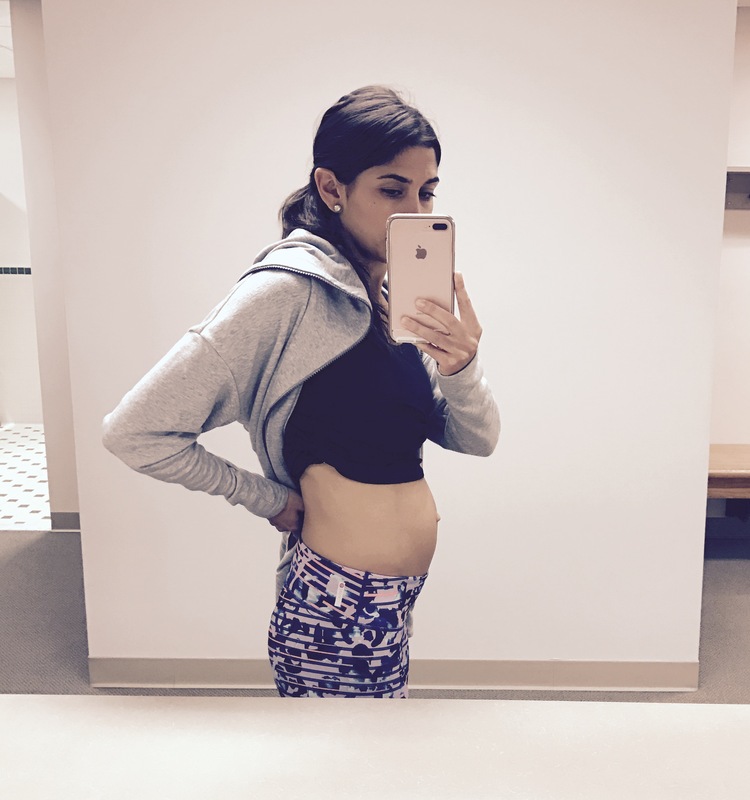 After a few years of suffering some annoying digestive issues, I found myself in and out of doctors offices, having various tests done and always getting the answer – “you have IBS – constipation. Take Miralax 4 or 5 times a day. Drink lots of water. Eat your veggies”. Okay, great. Drink lots. I got that. I understand, but I’m doing that. Eat fiber. Eat veggies. Yeah, doing that too! Take Miralax 4-5 times. Okay, no. The reason I am not going to the bathroom is not because there is a lack of Miralax in my body. And no, I will not take Miralax 4-5 times a day for the rest of my life. Yes, I was (and still am) taking a probiotic, eating fermented foods to support gut health, taking my nightly Magnesium supplement and other kinds of natural herbs to support digestion. And don’t get wrong, I do benefit from taking these things in other areas of my life, but they weren’t completely resolving my constipation issues. It wasn’t until I decided to try out a chiropractor and funtional medicine doctor in my area that things started to really improve. And I mean, really freaking improve. In so many areas of my life. Back tracking just a little- if you’ve been reading along, you know that after Delaney I had a pretty good abdominal split. I was working to improve the split, but it just seemed to be getting worse. On top of that, I was severely constipated. Like I said, this has been an issue for years now, once even landing myself in the ER with a partial bowel obstruction and multiple (humiliating) tests to “diagnose” my issue. In addition to the split and the constipation – I was just off. My energy was low, I was experiencing brain fog, laziness, lack of motivation, and overall I just felt like poopy. No pun intended. This wasn’t me. Yes, I was a new mom. Yes, I am working. I’m breastfeeding, hormones are raging, and life is busy. But I knew what I was feeling wasn’t right. Within the first few minutes with the chiropractor she told me to stop eating gluten. She saw little red bumps on the backs of my arms and legs and explained to me that it’s a sign of gluten intolerance. Well wow, after years of being embarrassed by the gross bumps on my arms and legs, I had an answer for something I wasn’t even in her office to fix. I liked this lady already. After my first adjustment and consultation with her that day, I stopped consuming gluten completely. No one had ever told me to eliminate it completely and with such confidence. So I listened. Within a week things were already better. 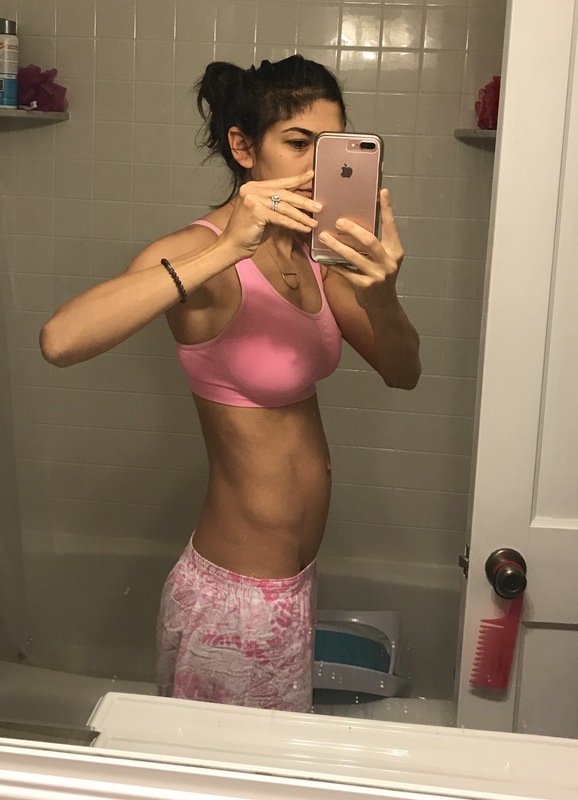 I noticed a HUGE difference in my bowels, my belly was much loess distended (I literally looked 6 months pregnant prior to this), even my umbilical hernia looked better. What? How could this be? I was told I needed surgery to fix all of these things. I was on board. If simply eliminating gluten was going to make me feel this good already. I’m in. Thanksgiving came and went and then Christmas was approaching. Yes, it was hard to to resist all the yummy temptations around me, but surprisingly, I was okay! Like I said before, I’ve always tried to be mindful about how much I was consuming, but I wouldn’t restrict myself from pizza, cookies and cakes or even the dressings that contained it if I really wanted it. Yes, I’ve to change things up, my wonderful family has been so accommodating and helped provide dishes that I can enjoy and I’ve learned a lot. Now, I think it’s VERY important to understand that not everyone has a gluten intolerance. You must experiment and figure out what works best for your body and I cannot emphasize this enough. One man’s medicine can be another’s poison. It took years of self exploration, experimenting and trying different things to get to point I am at. And I know that things may change! There is no one size fits all approach, that is why there are a million a one dietary theories and fitness programs out there that work differently for different people. If you need help with this, I encourage you to find someone, like a Nutritionist or Holistic Health Coach, like myself, to help you along your journey. 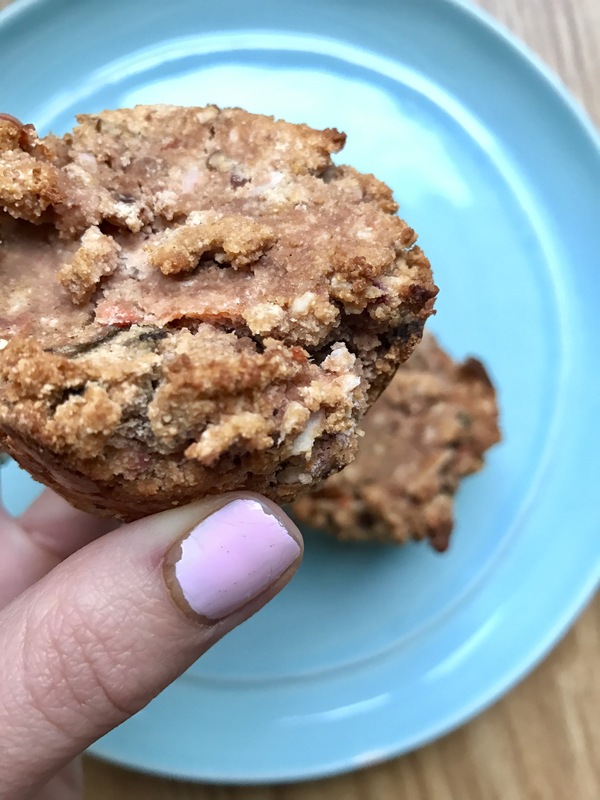 So on my ever lasting quest to make yummy healthy (now gluten free) food for my family, I whipped up some Paleo Morning Glory Muffins this past weekend and they have been the perfect compliment to my morning eggs or as an afternoon snack! The ingredients are clean, simple and pack a nutrition punch! Whisk together wet ingredients (mashed potato, carrots, eggs, vanilla, maple syrup/honey) until combined. Place muffin tray in the center rack of oven and bake for 25-30 minutes. 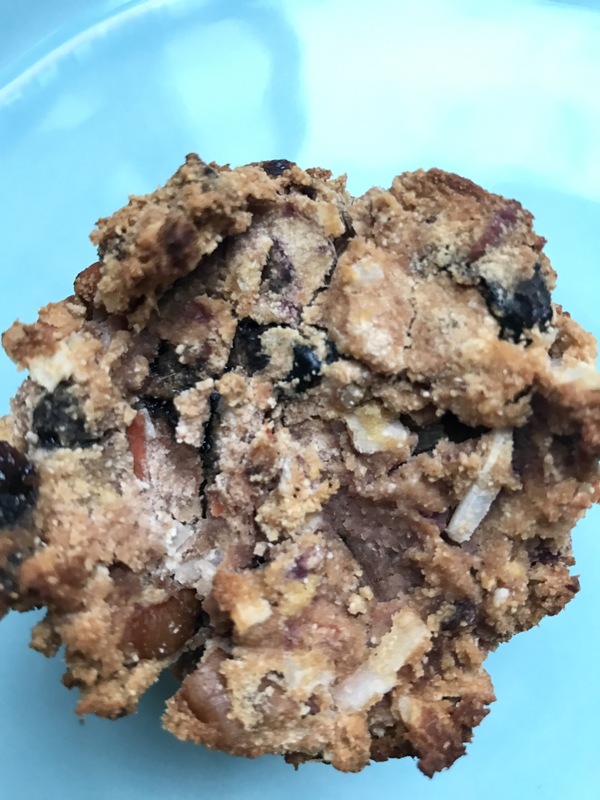 Allow muffins to cool, slather with nut butter and enjoy!